Please fill out form for purchase inquiry. Someone will follow up regarding your request withing 24 business hours. 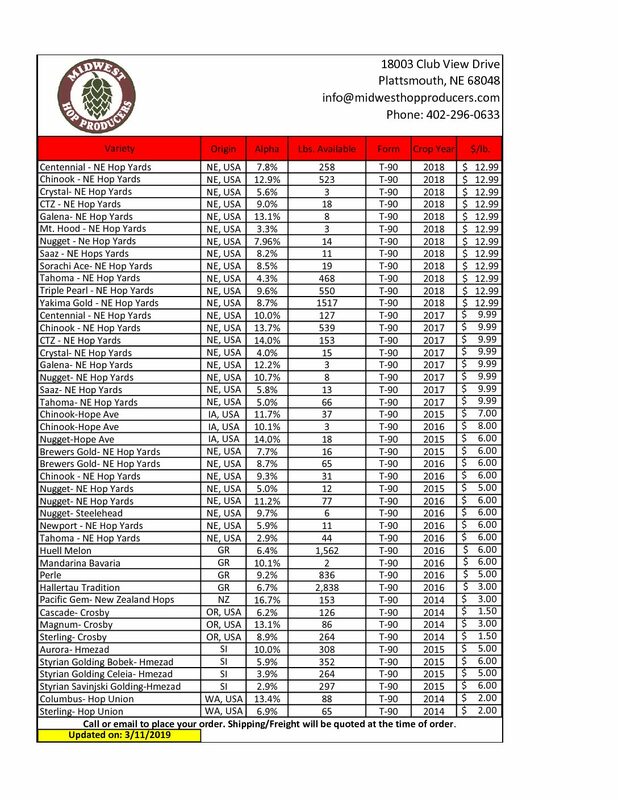 Click image to see our hops availability. Please note that all information is subject to change. Our hops are nitrogen flushed and sealed in high barrier Mylar packaging. 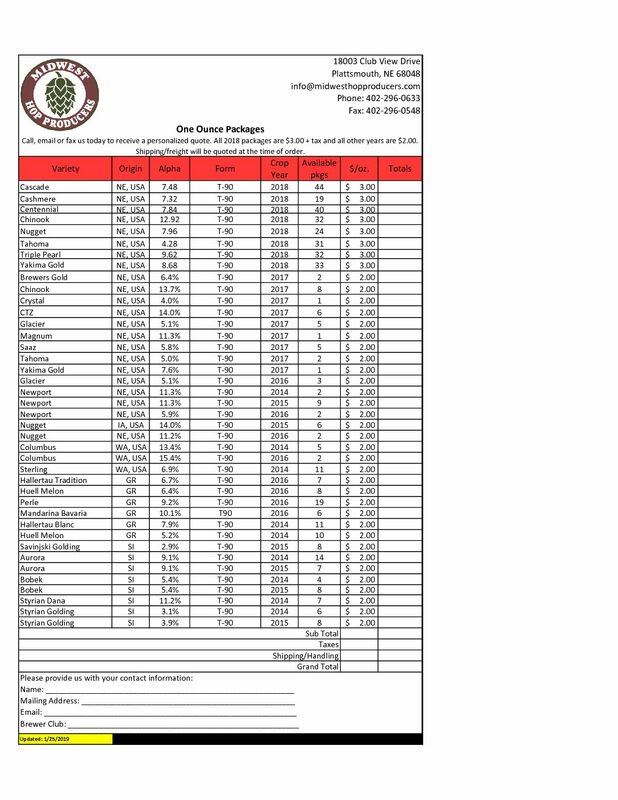 Midwest Hop Producers stores all hops in a climate controlled cold storage kept at 27*F.
A 3% processing fee is applied to all credit card orders. Net 30 days, if Customer Information Form and Credit Application for Business Form are completed. Used to calculate shipping charges.